and ready for same-day shipping! Pasternack’s Gunn diode oscillators incorporate high performance devices and machined aluminum cavities. Due to the extremely high external Q and temperature compensation mechanism, this waveguide oscillator series exhibit excellent frequency figures. In addition, our waveguide diode oscillator series provides great power stability, lower phase noise and higher anti-load pulling characteristics. The PEWGN1001 model is a K-Band waveguide Gunn oscillator module that generates a center frequency of 24.125 GHz with a tuning range of +/- 1.0 GHz. The PEWGN1000 waveguide oscillator model generates a Ka band center frequency of 35 GHz with a tuning range of +/- 3.0 GHz. 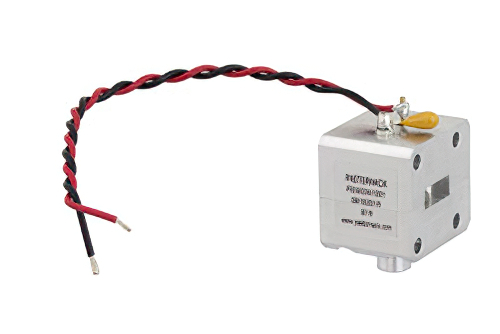 Both models of Pasternack waveguide Gunn diode oscillator incorporate self-locking tuning screws. Performance specifications for these waveguide oscillators include phase noise as low as -98 dBc/Hz typical at 100 KHz offset and frequency stability as low as -0.2 MHz/°C maximum. 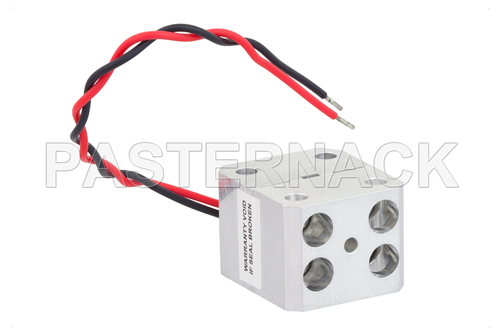 The output power of these waveguide components is +10 dBm min with power stability of -0.03 dB/°C maximum. Gunn diode oscillator bias supply is +5 to +5.5 Vdc at 200 to 250 mA typical with an operating temperature range of -40°C to +85°C. The rugged and compact wave guide component package design supports output frequency ports with fully integrated Mil-grade waveguide flanges of WR-42 UG-595/U for K band and WR-28 UG-599/U for Ka band. 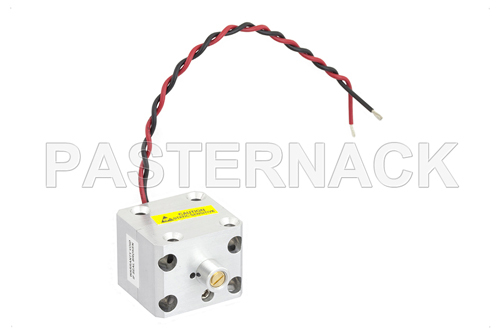 As with Pasternack's other over 45,000 RF, microwave and millimeter wave components, this waveguide Gunn diode oscillator series is in-stock. Not only are the Gunn diode waveguide oscillators in stock, they also ship the same day are they are purchased. 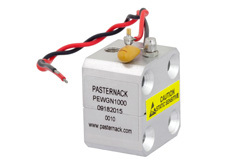 These and many other reasons are why Pasternack is the one of the best websites to find and buy waveguide components like our Gunn diode oscillator series.